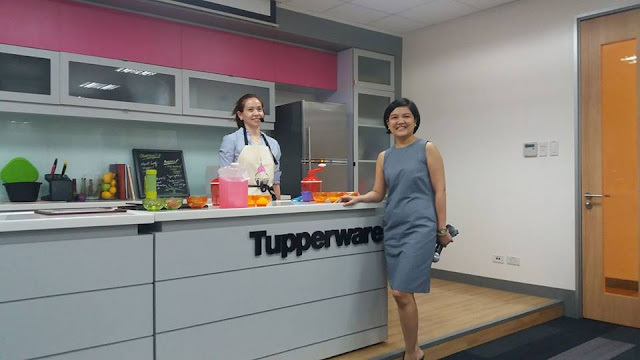 Last month, Tupperware Brands held its first Bloggers meet up at their office in Pasay City, I joined in a group of mombloggers to witness the brand's new kitchen offerings. 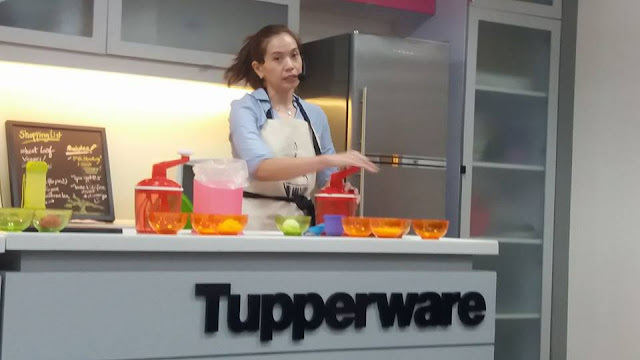 Tupperware® Philippines unveiled its all-new Speedy Chef and Ultimo Smart Chopper in a cooking demo class. Kitchen preparation is fast and easy with these new kithen tools. 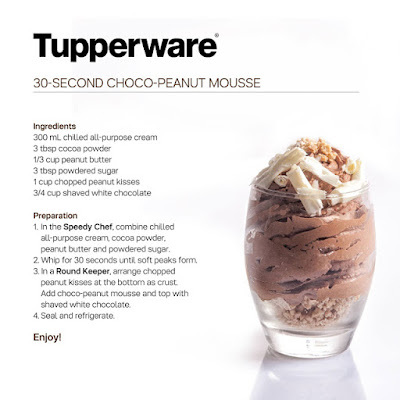 Speedy Chef whisks and whips egg whites, cream, pancakes, mayonnaise perfectly. It beats batters faster than an electric beater. This food preparation tool is highly efficient. It operates quietly and efficiently with minimal force. It has a one-Liter jug capacity that is transparent, so you can monitor its contents during the whipping process. It's anti-skid base ensures stability on your counter top. It a great tool for the kids to use since it has no blades. Moreso, it is compact for easy storage either in the pantry or fridge. On the other hand, the all new Ultimo Smart Chopper, is light and compact, uses minimal space, and has an easy-to-use pull cord. Ultimo Smart Chopper is light and compact, uses minimal space, and has an easy-to-use pull cord. This handy, high-grade kitchen tool easily cuts fruits and vegetables. 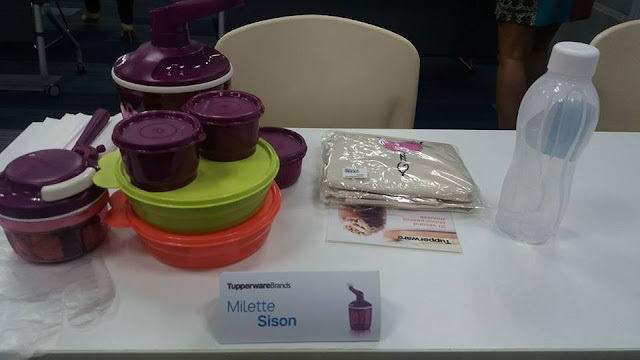 Ms. Melody Yap, Marketing Manager for Tupperware Brands showcased these products by giving us an actual demo of making meringue using Speedy Chef. 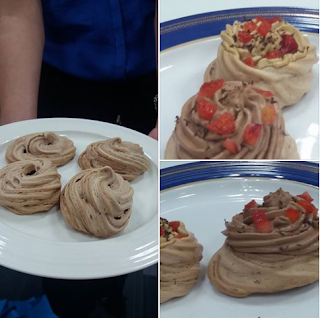 Next, she taught us how to do the 30-second Choco-Peanut Mousse using the Ultimo Smart Chopper. You can do these 2 recipes at home fast and easy. Add Tupperware® on facebook for updates and promotions.